Give the power of RSS to your Blog - Blogging to Fame! As we already talked about what is RSS in the last post, and we already know that RSS can be of help in increasing our popularity, most people think just blasting out RSS feeds from their blogs notifying readers for any(and all) new posts will do the trick. This post will guide you to unleash the power of RSS and exploit the technology to extremes. A great way to maintain fan following- AHA! And last but not the least it will provide you with industry/niche latest updates and information before a blink of your eyes so that you can keep your blog up to date. RSS gives you more visibility, we all know that. It also gives you what every site owner loves to have, i.e., Incoming links. If you write articles which are very appealing to your visitors, a lot of them will subscribe your RSS feed and display it on their own site, what do you get in return - incoming links. Syndication should be such that people can use your articles in their site, linking back to you. Incoming Links with relevant anchor text can prove to be a boon for your Search Engine Optimization. For this you just need to name the feed right. The title of your RSS feed is equally important as naming of your blog, but the difference here is that your Blog’s title is read by the humans and also machines, whereas, RSS feeds are interpreted by machines or programs. A blog’s title should be attractive and catchy, where as a feed’s title should focus on the keywords it uses. To get through Yahoo or MSN search engine, use the backdoor entry, the much faster and easier way. Login your own yahoo or MSN account and Add your feed to MyYahoo! or MyMSN personalized page. That’s it, you are done. Your RSS feed will soon be listed in the Yahoo!’s or MSN’s Directory with the pages your feed links to from your blog. Category Feeds- People who may want to know about Search Engine Optimization may not want to know about blogging, or people who might want to know about latest films may not like to know about the latest ipods in the market. As almost every blog covers wide variety of topics, in a niche, and a reader may want to know only about a few of them. Calendar Feeds- subscribers will want to know about the events a resort conducts date wise. Offering a dedicated calendar feed for the purpose will do the trick. Author Feeds- Your blog may have more than one contributor. Offering specific feeds for the author can create a different fan-following for both. Nonetheless, both would be traffic for the same blog. Comment Feed- Now-a-days readers want to keep a track of the conversation going on, at their favorite blog, and want to get notified for every new input. The more powerful blog systems are now offering comments feed as an option. 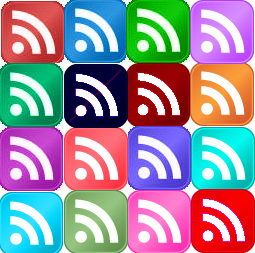 One of the very basic profit you can acquire from RSS is that you can keep your blog updated and fresh by displaying relevant RSS feeds there. Apart from keeping your blog alive this would also help you cover the latest developments in your niche and technology news of the market. You can subscribe to lets say 10 blogs and display important feeds from them. Providing a different feed for this section will help your users to get necessary information from subscribing your blog itself, and he wont have to subscribe the 10 blogs where you are picking feed from. Think beyond directories and how in real world you can exploit RSS for the benefit of your business. If you want to try a super fast way to get an RSS feed up and running with a short url, I have been using http://mynotify.com/ for a couple feeds lately and it works just fine. Mind you most blogging programs have feeds built in so if you already have a blog, it might not do you any good.